Sudan has supported the Khartoum Process (signed in 2014) agreement between African Union representatives and the European Union (EU) designed to stem the flow of refugees to the EU. However, it was largely economic measures which led Sudan’s President Omar Al-Bashir to propose the creation of a Horn of Africa Union this year. The proposed union would include Sudan, Somalia, Ethiopia, Djibouti, and Eritrea. Al-Bashir’s proposal was floated before, most notably by Djibouti’s finance minister in 2012. The ideas has even older roots – in the 1970s Fidel Castro also proposed a communist federation of Ethiopia, Somalia, and South Yemen. The proposed union would have a total GDP of $212 billion and sit along one of the world’s most important maritime trade routes. The minister spoke to areas of economic integration and the creation of new free-trade zones. For Sudan, the main prize in such a union is closer relations with Ethiopia. 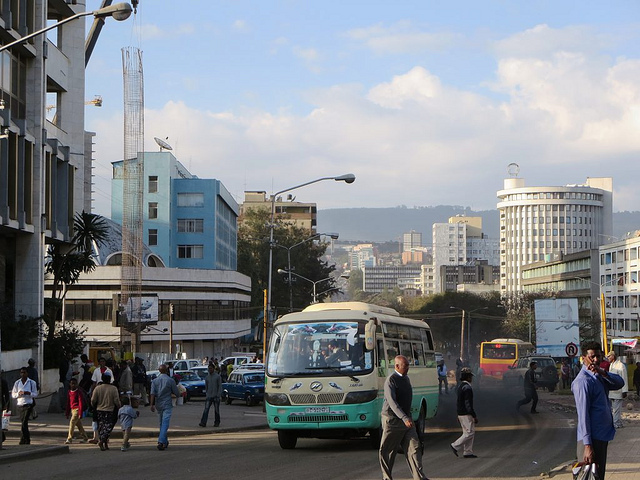 The Ethiopian economy is growing fast and the experiences of other world regions suggest that greater economic interconnectivity greatly reduces the threat of conventional wars. The Horn of Africa has seen more conventional inter-state conflict in the past 30 years than any other region in the world. The region’s economies need each other. Ethiopia has attracted more international investment than its neighbors. However, its main challenge is that as the world’s most populous landlocked country it needs outlets to the sea. Both Sudan and Djibouti hope to ameliorate the issue of Ethiopia’s access to global markets. The Sudanese hope more Ethiopian goods will reach international markets via the Port of Sudan instead of via Djibouti but, for now Djibouti is the primary regional winner. The proposed union suggests that Sudan and Ethiopia’s relationship has improved rapidly. When the communist dictator Mengistu Haile Mariam ruled Ethiopia, the border between the two countries was also a frontier between the Free World and the Soviet bloc. Sudan supported some anti-Mengistu groups and shots were fired across the international boundary between the two countries in at least one incident. However, the political calculations in both capitals changed in 2013 when Egyptian General Abdel Fattah seized control of Cairo in a coup. Sissi has criticized Ethiopia’s Renaissance Dam project which could potentially disrupt the flow of water to the Nile and Egypt. Ethiopia has sought to bolster ties with the Sudan as a result. Without this changing regional dynamic not even a modest economic union would have been possible. Meanwhile Djibouti plans to be the “Dubai of Africa,” hoping to develop rapidly. Ready access to neighboring markets will only strengthen the position of the country as an entry point for African investors. Somalia and Eritrea are some of the world’s most closed and least formalized economies, and as such, the benefits of such a union for them may take some time to develop. In the long-term, the union could help both Somalia and Eritrea in resolving long-standing regional disputes that have hindered economic development. Thus, even modest economic integration within the region would not only bring much needed economic prosperity. It would also pay a peace dividend. Joseph Hammond has reported extensively in the Middle East and Africa and is a former Fulbright fellow in Malawi.